The ISE Darrell Posey Fellowship Program is administered by the International Society of Ethnobiology (ISE), with support from its Board and wider network of members. 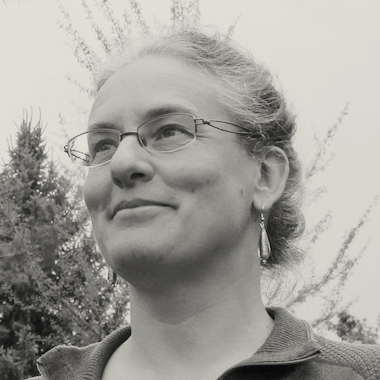 Sarah Laird works on forest and biodiversity conservation, and traditional resource rights. Part of her current work involves researching and developing trade and policy tools to promote sustainability and equity in the commercial use of genetic and biological resources, including policy growing from the Convention on Biological Diversity and national access and benefit-sharing measures. Sarah also undertakes and manages research and applied projects on non-timber forest products and traditional forest management systems, primarily in Africa. Since 1995, she has collaborated on ethnobiological research and knowledge exchange programs with local communities around Mt Cameroon. Mary Stockdale is an adjunct professor in the Department of Community, Culture and Global Studies at University of British Columbia, Okanagan branch (UBCO), where she teaches and conducts research related to community resilience, sustainability and natural resource management. She has 20 years of experience working in Southeast Asia (mainly Indonesia and the Philippines) on community-based management of forests and non-timber forest products (NTFP). She works closely with the NTFP-Exchange Programme for South and Southeast Asia, a regional network of community organizations (mostly indigenous), local NGOS, and others. Miguel Alexiades has conducted research in Amazonian ethnobotany, ethnoecology, community health and medicinal plants since 1985. He has collaborated extensively with the regional indigenous federation of Madre de Dios, Peru, working as a facilitator and trainer, and carrying out applied research. Much of his research and applied work has revolved around Ese Eja land and resource rights in the border areas of Peru and Bolivia. Since 2004 he has been advising the Ese Eja on the use of digital mapping and video technology to document and uphold knowledge and rights linked to their cultural landscapes and ancestrally occupied lands.